The F-35 will be expected to secure Israeli airspace and accurately attack ground targets, but the time will show exactly what else the JSF is able to offer. In December, Israel took delivery, through the foreign military sales program, of its first two of a planned 50 F-35s. It was nearly 14 years after the Middle Eastern democracy first got involved in the fifth generation fighter program. What exactly this advanced aircraft is going to do for the Israeli Air Force (IAF) is, well, open to speculation. Some things are obvious. The F-35 will be expected to secure Israeli airspace and accurately attack ground targets, for example. But according to defense experts and the IAF officer in charge of the F-35 program, the fighter’s capability and capacity are so new and untested in the region (or elsewhere, really) that time will show exactly what else the F-35 is able to offer. IAF is certain the F-35’s impact will be mighty. 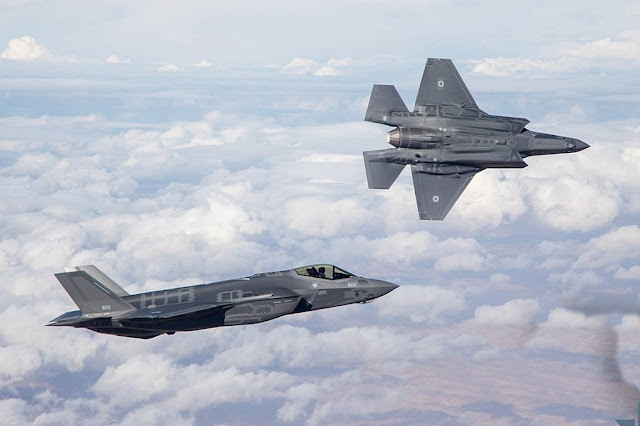 In a January interview with Air Force Magazine, IAF Major Moti (the Israeli Air Force does not typically release the last names of its airmen), the air force’s program officer for the F-35, explained the service’s mood regarding the F-35: “There’s a lot of excitement.” While the IAF flies an arsenal of advanced fourth gen F-15s and F-16s, “this is the first fighter [that will offer Israel] stealth capability,” Moti said, and F-15s and F-16s simply don’t have the type of sensors the F-35s have. Compared to legacy fighters, F-35s will be able to safely enter threat arenas guarded by more advanced defenses and weapons. Moti said, “We need the advantage,” a reasonable necessity considering dangers such as those lurking to Israel’s north and east, including Hezbollah and Russian-armed Syria and Iran. There are 12 national customers of the F-35. Nine original partner nations had a role in setting up the specifications and procurement policies: Australia, Canada, Denmark, Italy, the Netherlands, Norway, Turkey, the UK, and the US. The three foreign military sales partners so far are Israel, Japan, and South Korea. Of the 12, some observers say Israel is the only country whose variant is unique. According to Lockheed Martin spokesperson Eric Schnaible, the company modified the F-35 for Israel in three main areas: command, control, communications, computers, and intelligence (C4I), electronic warfare, and weapons integration. 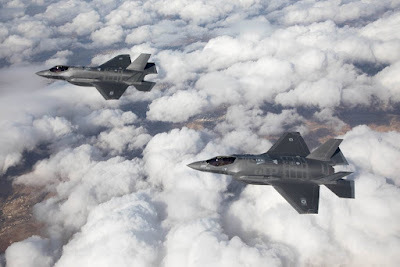 With stealth and electronic capabilities far surpassing Israel's other aircraft, the F-35 will introduce massive advances for the IAF… 2 of 5 Initially, the US refused to allow Israeli modifications to the F-35. 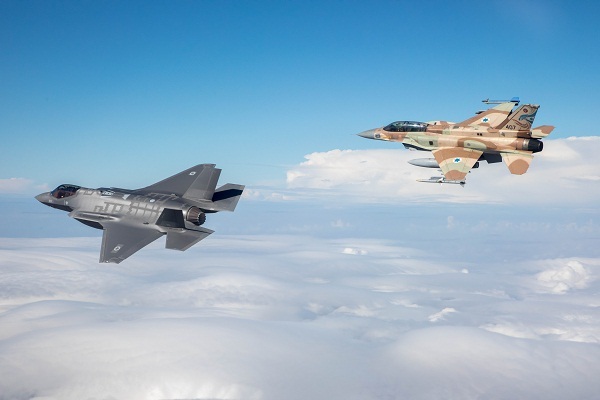 The compromise reached involved not changing anything inside the aircraft, but allowing the Israelis to add capabilities on top of the existing infrastructure. State-run Israel Aerospace Industries, for example, is working on a C4I overlay for the F-35, with Lockheed Martin. This is because, 3 of 5 with it, Israel “will be the only nation to be able to deal with some of the advanced surface-to-air and air-to-air dangers being introduced directly to the north,” he told Air Force Magazine. But stealth is “only one part” of what the F-35 offers, Deptula argued. The aircraft “needs to be thought of as a sensor-shooter,” he said. The F-35 should actually be thought of as an “F-B-E/A-RC-E-AWACS-35,” as it will integrate capabilities seen in traditional fighters, bombers, electronic warfare aircraft, reconnaissance planes, and special electronic and airborne warning and control system platforms. If a missile is shot at it, for example, the F-35 can automatically detect where it came from and the pilot can automatically target that location. Communications links on the aircraft will allow it to gather information on hostiles even while it’s still on the ground. After it takes off, it learns more. “No other aircraft that the Israelis possess enables this,” Deptula said. This presents a “paradigm shift” in IAF’s situational awareness. After sensing danger, the F-35 will then be able to synthesize the information, applying it and sharing it with ground, naval, and air units outside that specific aircraft. In other words, an airborne F-35 isn’t an isolated capability, but a pair of eyes the entire Israel Defense Forces (IDF) will now have to equip the given theater. The introduction of a unique aircraft like the F-35 will affect the nature of communication and war planning within the IDF. “Now we are going to have a mixed fleet,” said retired IAF Brig. Gen. Ephraim Segoli. He served in IAF for 25 years and in 1997 studied as a fellow at the School of Advanced Air and Space Studies, Maxwell AFB, Ala. In Israel, he eventually joined the Fisher Institute for Air and Space Strategic Studies, where he heads the Airpower and Asymmetric Conflict Research Center. “The F-35 is bringing a new culture. It is a big challenge. Not just a technical challenge, like how we talk,” but also how airmen and other branches of the military will use information, in what order, and with what aims. 4 of 5 Like everything else with the F-35, “time and experience” will reveal the potential advantages and limitations of the aircraft, he said. The dichotomy within IAF on the new aircraft is a conflict between efficiency and operational capability, the former necessarily detracting from the reality of the latter. The longer you test, the longer it takes to bring an aircraft to operational status. The amount of information the F-35 is designed to gather and disseminate to the rest of IAF and IDF may also change the way IAF operates within the IDF. “In my opinion, the air force has a very unique part in any campaign planning,” said Segoli. While the F-35 can allow IAF to penetrate threats now being developed, Segoli emphasized he sees no current threats the F-35 is capable of attacking alone. Rather, he emphasized the role of the aircraft in deterring those rising threats. If Iran is considering rolling out nuclear capabilities, the F-35’s ability to fly past the country’s surface-to-air defense system may affect such plans. U.S. President Donald Trump implied in a December 2016 tweet he may reduce the number of US F-35 purchases, and if that happens, Segoli explained, the value of the F-35 will be further scrutinized in Israel. “If you sell less, there will be an effect on the price,” Segoli said. If cost increases, this might become a problem. 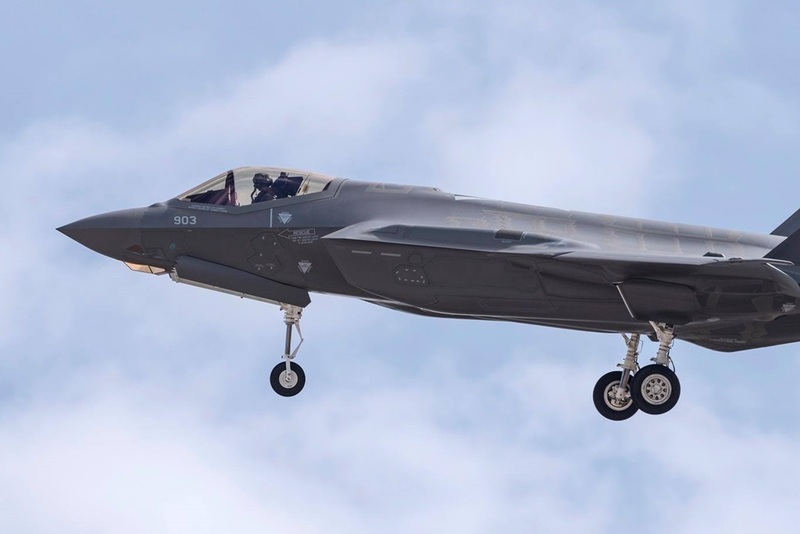 Some Israeli experts are already questioning the purchase, not seeing an immediate need for the deep capabilities of the F-35 when considering asymmetric opponents like Hamas and Hezbollah. Lockheed Martin plans to bring down the cost of the F-35 to around $85 million per unit by 2019. If that happens, Israel may save $435 million on 29 F-35s. “Before [an F-35I] even shoots a missile or drops a bomb,” Deptula said, the F-35 program is bringing nations together. This he termed “the greatest strategic value of the F-35.” Many countries operating common equipment such as the F-35 “engenders common defense strategies” that then encourage those nations to partner and work closer together, Deptula noted. He called this an “enormous value” and an intangible—but said that if he had to think of it in dollars, it’d be in the trillions. 5 of 5 Still, at nearly $100 million a pop, the $5 billion price tag for 50 aircraft is a sticking point for many Israeli civilians.